Is a mail forwarding service the only way to get your mail when you’re an RVer who is traveling all the time? We all have monthly bills and obligations that must be met, family correspondence that is important to us, and even legal obligations requiring that documents be processed in a timely manner. Every person’s needs are different. Which service is most the practical and meets your needs the best is a decision that only you can make. The big question is exactly how much — and what kind — of service do you really need? There are many well­-known companies that will happily forward your mail to any location you desire. They will sort your mail, dispose of junk mail if you so choose, and pass on only what you want processed. There is a catch though: their services aren’t free. Earth Class Mail is one company that’s growing in popularity. They’ll process your mail for a monthly fee. At their lowest entry level, they charge $49 to process and forward 10 pieces of mail sent to 1 address. I’m assuming that means 1 package sent containing 10 pieces of mail once a month. At $5 per item, you’ll only want to forward your most important mail. 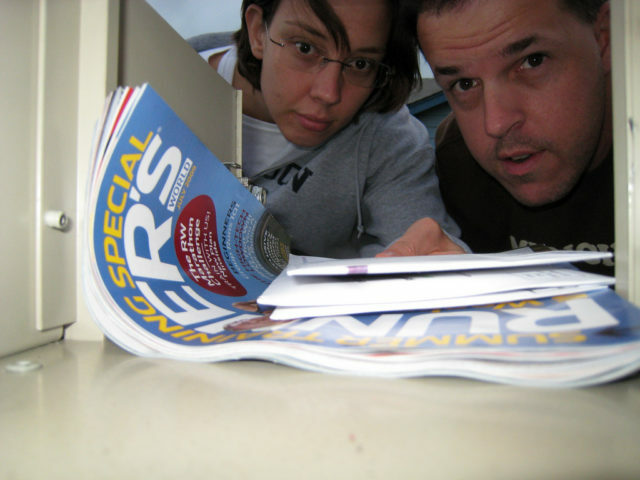 The Escapee’s Club Mailing Service mail-scanning is another popular way to handle RV mail. Their start­up fees amount to almost $200 — on top of membership dues. Even though their monthly handling fees are less, it is still a sizable investment just to get a letter from Uncle Tannous (Danny Thomas’ Lebanese Uncle for the younger set). Here’s a long list of RV mail forwarding services. These days, sometimes I’m traveling and sometimes I’m stationary in an RV park or boondocking out in the desert. Surprisingly, I have found no need for a mail forwarding service. For the average person, virtually all correspondence can be handled at a much lower cost — or even completely free! In today’s digital world, all banking, bill paying, and other financial transactions can be handled online from your laptop computer. There are even apps that allow you to take care of your banking from your smartphone for free. Almost every financial institution has direct deposit. And balancing your accounts is as easy as bringing up the bank on your laptop daily and logging in. If you need walking around money, any Walmart will give you up to $100 above the amount of your purchase with a debit card. (There’s no service charge either!) We all know there’s a Walmart in practically every modest-sized town across the country. And if you’re anything like me when your traveling, you’re often staying in a Walmart parking lot for the night anyway. You can place a hold on your mail until you get to your next location, and then put in a change of address to have your mail forwarded. You can pick up mail at General Delivery at any Post Office in the country. That way, you can order anything and have it delivered up the road where you will be by simply using the Post Office’s address and labeling it as General Delivery. They will hold it for a period of time until you get there. You can put in a change of address — either a temporary one or a permanent one. This feature can be manipulated to your benefit. Here’s what I recently did… My motorhome insurance was due and the address on file no longer had an active address change in effect. To ensure the information would be forwarded to me, I sent in a second change for the address on file and the Post Office forwarded the bill to my current location. As for personal correspondence, does anyone write a letter anymore? You have email, social media, texting, Skype, and a whole slew of other ways to keep in touch with friends and family. What If You Need A FedEx/UPS Address Too? The one last issue with RV mail forwarding services pertains to those who need both a U.S.P.S. address and a FedEx/UPS address that are the same. I receive my medications from the VA by mail. The pills come through the Post Office, but my insulin comes in a refrigerated container by UPS overnight. The VA isn’t equipped to handle multiple mailing addresses, so I need to have 1 address that accepts both types of deliveries. That’s where a local mailing service (like Pakmail) comes into play. 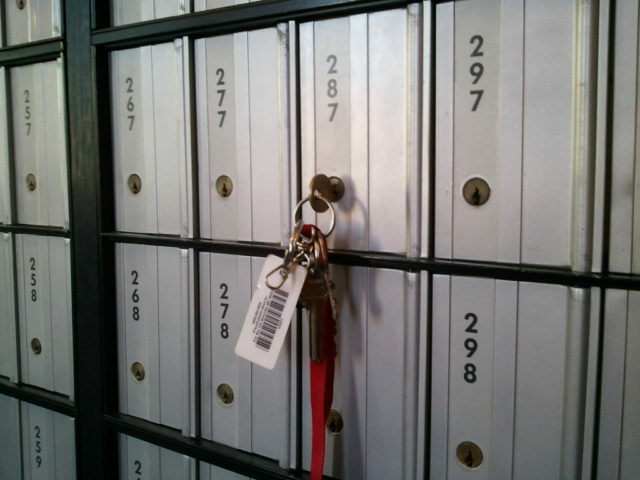 Most cities have multiple places that will provide you with a personal mailbox that has a street address (not just a P.O. box number), and they will also accept UPS/FedEx deliveries for you. 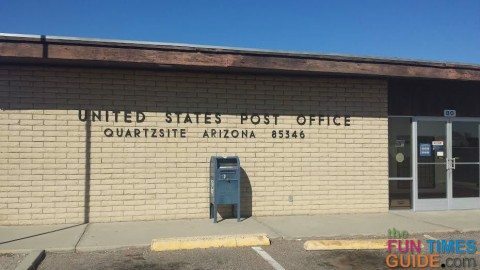 In Quartzsite, this service will run you $15 a month. In Melbourne Florida, the same service is $10 a month. Prices may vary some, but that’s still cheap when compared to the mail forwarding services mentioned above. The most important thing to remember is that less is more. It’s a simple matter to convert 99% of your mail needs to digital — or just do away with some altogether.